Izakaya Cuisine - Kampai! : Kampai! Izakaya food can be hard to define. It’s essentially thought of as Japanese “comfort food” and that can take up many distinct styles. Everyone will end up having different preferences and should try to find an izakaya that serves the style food you’re in the mood for. Many izakayas will try to be all things to all people – they’ll serve a variety of these styles of food, though sometimes that backfires as they’ll not make anything particularly well. This can still work, because drinking is often the reason people go. That said, here are a few of the most common styles of Japanese food served at izakayas. Yakitori – grilled (yaki) chicken (tori) skewers. Almost a ubiquitous izakaya food. Robata – slow grilled in an open fire pit. Ramen – bowls of delicious noodle soup. So many styles, so many shops. Not always true izakayas, but worth a visit anyway. Sushi – yes, sushi is served at izakayas, usually has an opening dish before the sweetness of the raw fish can be overwhelmed by other more robust flavors. Kikaijima is a small island just north of Okinawa. This is as close as you can get to Awamori country without making Awamori. As such, Kikaijima Kurochu, or “Kikai Island Black Kiss” is an aged black sugar, black koji shochu with all of the rich characteristics you’d expect from the southern islands. This odd label includes a sketch of a Japanese man. It would be easy enough to mistake his rough, jowly visage for that of a sumo wrestler, but it is, in fact, the last samurai, Saigo Takamori. He wasn’t truly the last samurai, but he was the leader of the Satsuma Rebellion, which was the last stand of the samurai class against the modern Japanese imperial army in 1877. Hee no Tori, the “Firebird”, has been sitting on my shelf for almost a year. This bottle is likely the only bottle I’ll ever have since it’s not imported to the US and was made as an experiment by a sake brewery from a non-shochu making region of Japan. 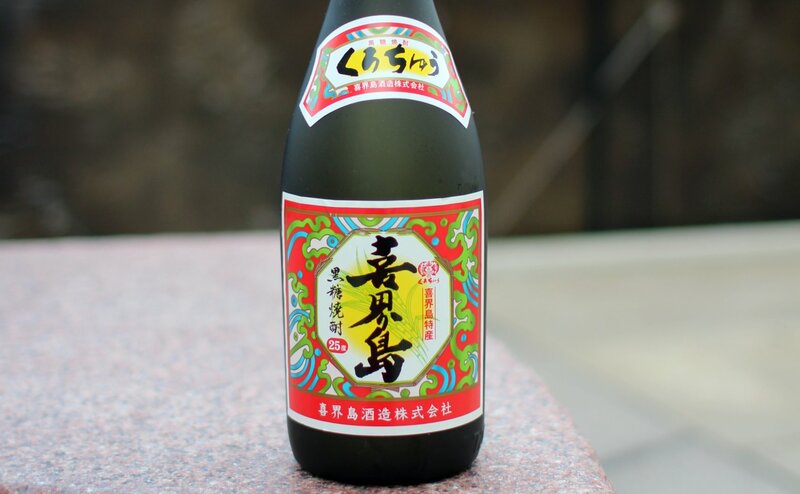 As a testament to how popular shochu has become, many sake breweries have been doing this.